People from North East India have never really featured prominently in mainstream Bollywood movies. Because apparently, "They don't look Indian enough." 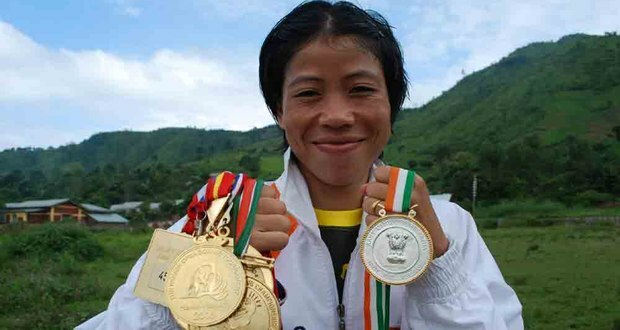 So, you'd think that a biopic on legendary Manipuri boxer Mary Kom, a five-time World Champion and an Olympic medal winner, would be the perfect opportunity to introduce a fresh face from Manipur to Bollywood, right? It could start a trend that would lead to a more equitable representation of actors from the North East in popular cinema. But sadly, Bollywood missed the bus yet again. Priyanka Chopra was picked for the role instead. 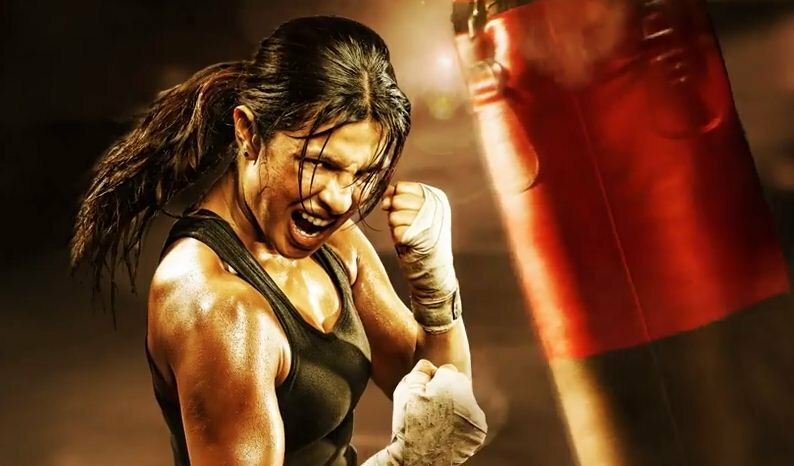 Apparently, Priyanka underwent over 4 months of intense training to get ready to portray the tenacious boxer. 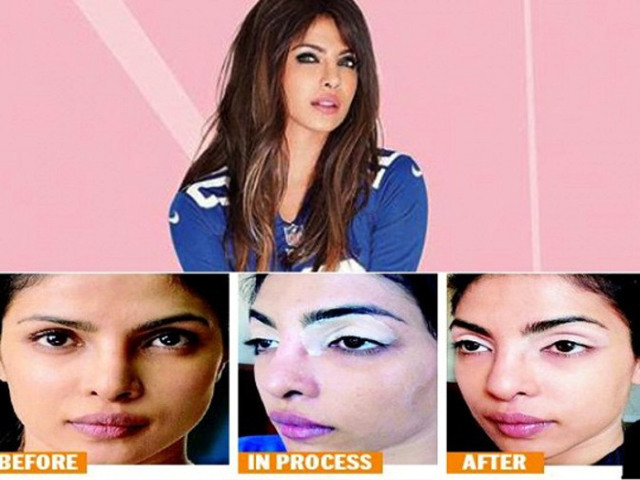 But the thing is, she can train to look like the boxer, but how can she "train" to look like Mary Kom? 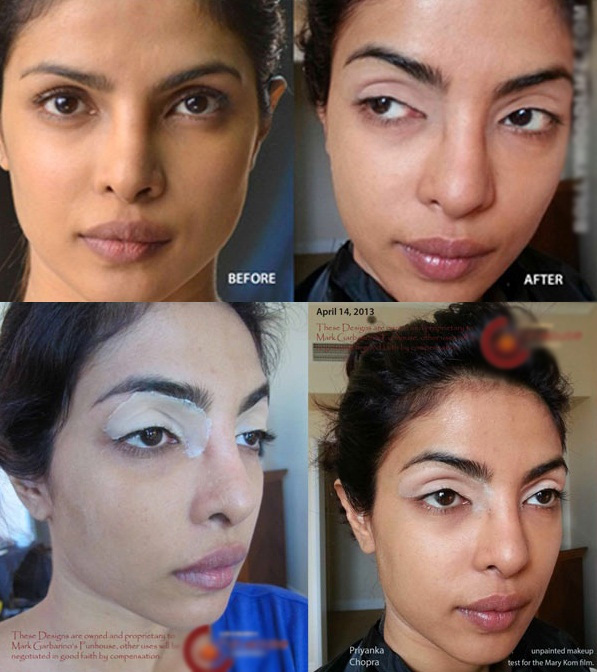 The film makers got Hollywood make-up artist Mark Garbarino to give Priyanka an "oriental look." He did a prosthetic makeover by giving her heavier eyelids. But the film makers were worried that the prosthetics would not hold while shooting action heavy boxing bouts. Instead, they opted for a special effects solution from Shah Rukh Khan's visual effects studio, Red Chillies VFX . But why go through all that trouble? How about Geetanjali Thapa ? The Sikkim-born actress just won a National Award for her recent film Liar’s Dice. In 2013, her film Monsoon Shootout was shown at the Cannes Film Festival. And she'll soon be seen opposite Emraan Hashmi in Oscar-winning film maker Danis Tanovic's film White Lies. There is also Bala Hijam , who is Manipur-born and has acted in over 30 films, including a few Malayalam and Hindi (Zindagi on the Rocks) movies. In 2011, she won the Special Jury Award from the Manipur Film Academy. Masochon V Zimik was one of the hockey players in SRK-starrer Chak De India . Why not give her a chance to play Mary? Or how about Karen Shenaz David ? The Canadian actress was born in Shillong and looks the part. She has plenty of experience, having collaborated with A.R Rahman on the Bollywood-based Broadway musical Bombay Dreams. So what is happening here? Are the film makers simply trying to ensure that the movie is a commercial success? Or are they actively engaging in cultural chauvinism? That's where the Auteur Theory comes in. In film criticism , Auteur Theory holds that a director 's film reflects the director's personal creative vision, as if they were the primary "auteur" (the French word for "author") , in spite of the film being a part of an overall commercial process. So what is more important to the director? The work of art itself or its acceptance? But Auteur Theory or no Auteur Theory, Bollywood could have at least taken a look overseas and learnt from Hollywood's mistakes. Hollywood has played loose and fast with the "race issue" many times when it comes to portraying popular characters or iconic figures. And they didn't exactly get a pat on the back for it. Black paint was used on the faces of white actors like Al Jolson in The Jazz Singer (1927) and Peter Sellers in The Party (1968). It led to a lot of controversy. But Hollywood (for the most part) learnt its lessons. For the lead role in Gandhi, the makers cast Ben Kingsley who apart from being half Gujarati, also looks a lot like M.K Gandhi. What's more? 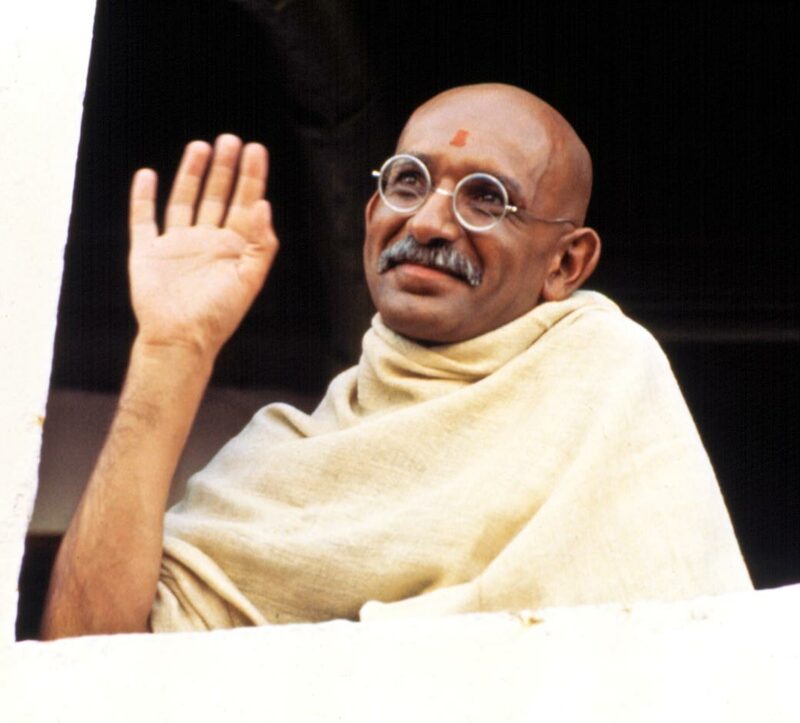 Kingsley went on to win an Academy Award for his portrayal of the Mahatma. We can all agree that Priyanka Chopra is an accomplished actress and that her presence will help grab more eyeballs and push Mary Kom's story to a lot more people. In other words, she guarantees that the film will be a success. But does "success" here simply mean more money for the film makers and a Filmfare Award for Priyanka Chopra? 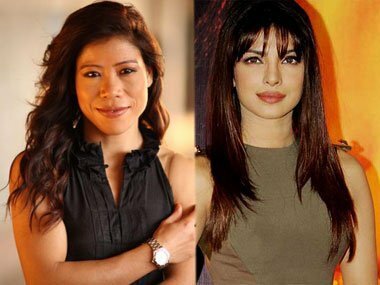 At the end of the day, the role of Mary Kom is being played by an actress whose identity, physical appearance and background is extremely different from the character she is portraying. But then, if Mary Kom is a movie about a Manipuri athlete who did India proud then why is a Manipuri not 'Indian' enough for the lead role? Update: The article included a quote from Mr. Sanjay Leela Bhansali. After some due diligence, we could not ascertain the veracity of the quote and have pulled it down since. We sincerely apologise for the sloppy reporting. We messed up there.